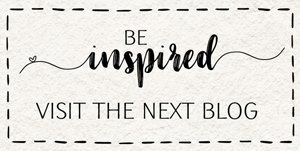 Welcome back to our monthly Be Inspired Blog Hop! 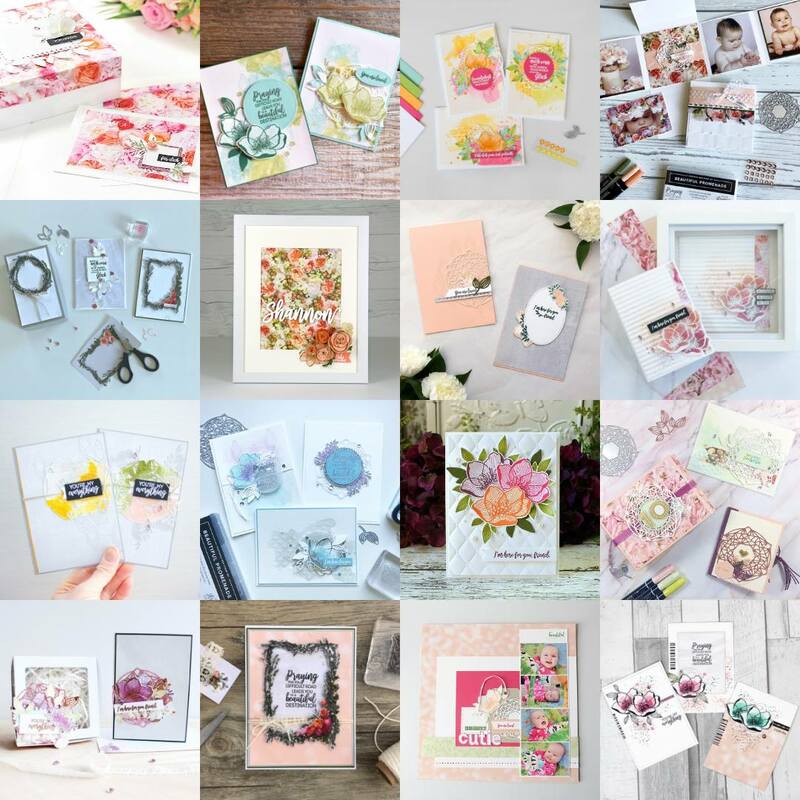 Each month a handful of Stampin' Up! designers join together to bring you some themed inspiration. This month's theme is sympathy or get well. This project was created using the Stampin' Up! Beautiful Promenade Stamp Set. I didn't know I loved this set so much until I started using it. The sentiments are perfectly paired and you could make it work for almost any occasion. 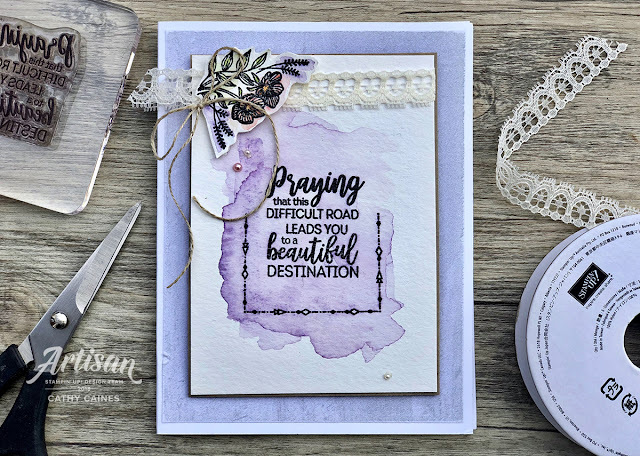 The sentiment was stamped onto water color paper and I used the Gorgeous Grape refill ink to water colour the purple splash. I didn't stop there - I water colour the floral element in the top left as well. This isn't perfect colouring so don't get bogged down in the details! 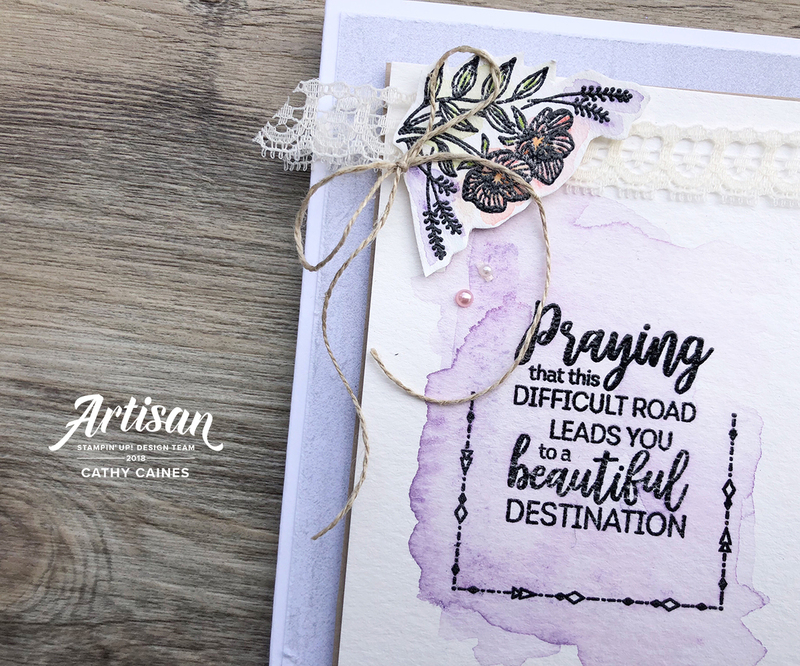 But don't let me be the only one to convince you of this gorgeous stamp set - check out the Stampin' Up! Artisan Design Team projects in this blog hop! I am so proud to be part of this team! I think you are going to love this hop so keep moving along to my Canadian friend, Carolynn Sander . and what a beautiful card it is! Love the color combo!